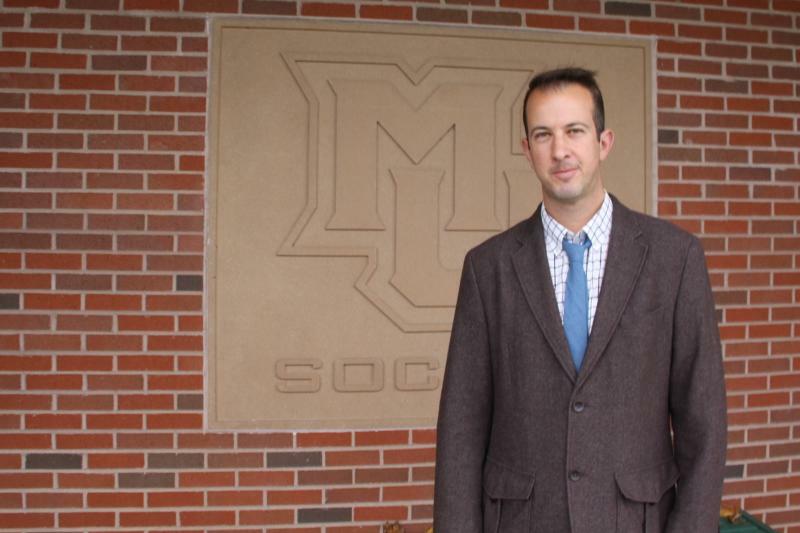 Marquette has been thrust into the national soccer scene since men’s head coach Louis Bennett arrived on campus in 2006. After accumulating just three wins in his first two years at Marquette, the team now gets top-15 recruiting classes, has made two NCAA tournament appearances and earned its first BIG EAST title in 2012. The program is at the forefront once again, this time for its forward-thinking when it comes to interweaving technology into the beautiful game. The Golden Eagles took things to a level rarely seen among college teams. The coaching staff is no longer sitting around a TV watching game film. They are tracking players, analyzing detailed infographics about their play and making adjustments to practice, pregame, warmups and strategy based on players’ feedback. At the center of the technological progression is Calvin Deutsch, the team’s performance assistant, hired this summer. The Creighton University graduate is a physical therapist with a specialization in strength and conditioning. He has a board certification as a sports clinical specialist, and when he’s not at Marquette, he is a part of the Olympic committee’s physical therapy database. If an athlete is injured in Southeastern Wisconsin, he or she goes to him. His job for the Golden Eagles is to ensure players are as ready as possible for game action, which goes further than traditional PT practices. As opposed to just looking at the medical side, Deutsch examines multiple factors to keep the players at their best. “He’s responsible for keeping them fresh,” Bennett said. Deutsch and the rest of the coaching staff have a multitude of tools at their disposal in order to make that possible. Fit For 90, used by clubs like the U.S. women’s national team and Sporting Kansas City and Orlando City SC of Major League Soccer, helps the team analyze the players’ readiness. Using the mobile app or online, players enter their own data, ranging from how difficult they felt the training session was, how tired or sore they are or even how much water they drank that day. Deutsch focused on this program most in his first season with the team. It’s sort of soccer homework for the players, but it’s only a handful of questions and takes about two minutes a day. Like any teacher collecting an assignment, Deutsch will remind players to complete the survey on bus and plane rides home from games or walks home from practice. “If you’re trying to stay fit, you have to be on top of that,” said redshirt senior forward C. Nortey. Based on the information entered, Fit For 90 calculates a readiness score from zero to 100 for each player. Deutsch says this is particularly important to monitor for student-athletes, whose scores may be low due to school-related stress. Data shows that when players are anxious about school, their physical stress increases as well, increasing the likelihood of injury. The players also enter feedback through After Action, a program that allows players to enter their thoughts about their own performance, as well as their teammates’. This is in addition to the more established tactical systems the coaching staff uses, like Gamebreaker and Prozone. 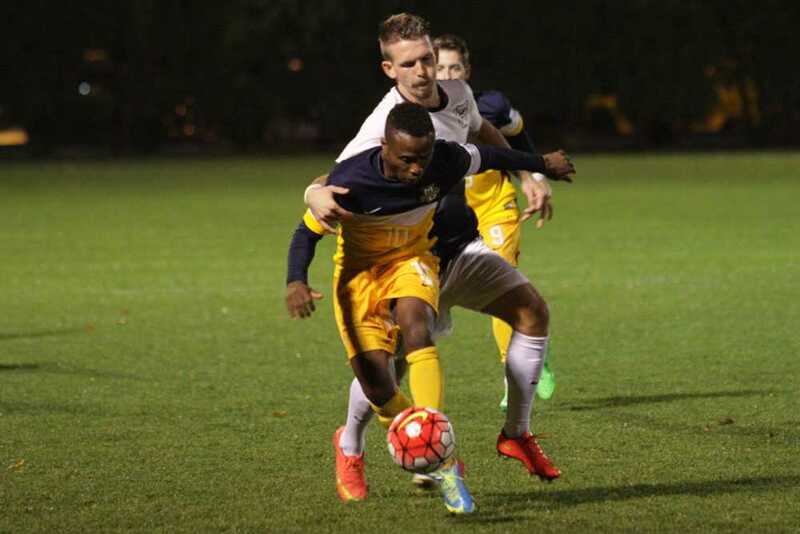 Gamebreaker, which Marquette has done in-house longer than the other programs, tags players’ positions on the pitch and tracks the location of headers, shots and passes. Prozone goes a bit deeper tactically, showing not only video but graphs and schematics as well. Sometimes professional teams looking at former Marquette players will ask Bennett to see the numbers from Prozone and Game Breaker, such as the number of passes a player makes, his speed of play and to whom he passes the ball. These four tools, in addition to the traditional eye test by coaches, form a more personal and holistic view of the players. The tactical, physiological and medical sides all need to click for the team to perform well consistently. Deutsch’s analyses help dictate the intensity of practice or if certain players need to focus more on recovery for the next match. This can lead to certain positional groups, or even individual players having a slightly altered training schedule. Deutsch factors into these plans how frequently a player gets on the pitch and the physical demands of the position he plays. For example, a starter who played the full 90 minutes two games ago needs a different practice environment than a player who hasn’t seen the pitch in two weeks. Even players in the same position group, like the defenders, are treated differently depending on whether they play center back or winger. The program is for a player like Nortey, who missed the 2012 season with a knee injury. Fit For 90 has a feature that allows players to click exactly where the soreness is on their bodies, and for Nortey, that’s almost always his knee. He hasn’t missed time with an injury all year. He appreciates the coaches personalizing practices, saying it just makes sense. Keeping the players fresh was especially important this season for the Golden Eagles, who suffered a handful of unpreventable injuries. The midfield unit was thinned out after defender Danny Jarosz’s injury forced Ruben Sanchez to the backline and Martin Alba missed the second half of the season with a hip injury. Forward David Selvaggi also dealt with multiple leg injuries. Deutsch is venturing into unknown waters. While there are similar programs set up at the professional or club level, the NCAA schedule poses a tougher challenge. Teams often must fit two or three games into a week’s span, as opposed to once a week in many professional circles. In many respects, Marquette is the guinea pig or trailblazer of this technology at the college level. Bennett said he has had multiple college coaches call him asking what they are doing. Deutsch said he believes they are creating a model that other teams will follow in the future. Deutsch said he will have the greatest impact with the team during the spring and summer, something he wasn’t able to do prior to this season since he was not with the team yet. He plans to work with player volunteers to prep them for the 2016 season. Bennett stresses the goal of making sure the program is a step up from the MLS Development programs many of the players come from. He said the fancy gadgets set the tone for what Marquette soccer is about and the level of commitment to the program. Deutsch plans to delve further into the data as the program moves along, and generally focuses on a three-part goal. He wants to improve the culture in the program by combining on-field work with science and research, end preventable injuries and keep as many players ready to go at the highest level as much as possible.